THQ was a pretty big deal in the ‘90s and ‘00s. For a while, it held many top licenses to create games such as both the WCW and WWE pro-wrestling organisations, Nickelodeon and Disney Pixar. It also held a tonne of quality original IPs as well, including the likes of Red Faction, Destroy All Humans!, Darksiders and the reason I’m writing this review, de Blob. Unfortunately in the early 2010s, THQ went into financial hardship (and then bankruptcy) due to some poor business decisions, such as the uDraw tablet. There was a silver lining in the end. THQ sold off its licenses and IPs, and (at the time) little-known video game publisher, Nordic Games, acquired most of them. 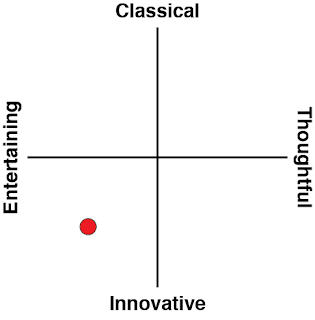 And the THQ brand itself. We have seen so many times when game companies go bankrupt, their IPs go with them, never to be seen again, so this was the best resolution possible to all of that. Fast forward to today, and (the now re-named) THQ Nordic have been drip-feeding us with remasters of classic THQ games. The latest on this list being Wii classic de Blob. As with the case of all of THQ's old franchises, THQ Nordic have as yet to release an actual original title for this classic series, but it feels as though the company is testing the waters to see what games are received well enough to warrant a new game. 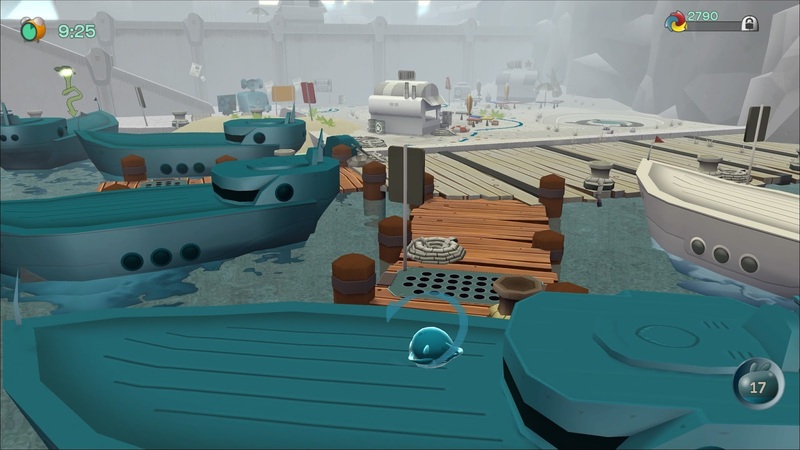 de Blob is a game where colour is a focal point. What de Blob did before we were able to play games such as Splatoon was to make the gameplay about spreading colour around the landscape. Even the narrative is about colour. The colour in Chroma City has been stolen by the INKT Corporation, a bunch of no-goodniks led in a military dictatorship, who have turned the entire land into a sad, lifeless, monochrome mess. As a blob that can absorb various paint colours and spread them around, it is up to de Blob to absorb the colours and return them to all the buildings and objects in Chroma City. The game holds up reasonably well considering many Wii games haven’t aged all too well. Each level is broken up into different areas, and it is up to de Blob to utilise the colours around him to colour the landscape around him and complete various challenges, all while defeating any members of the INKT Corporation. In order to progress, enough colour needs to be spread around so that a certain score is reached, once the score is achieved, a gate opens up to the next area. Everything that happens in the game, defeating enemies, colouring buildings and objects, completing objectives for NPCs, all assist de Blob in earning points, so it gives the game a very slight open-worldness to it. As it takes points to reach every area in the game, it can get rather repetitive quickly. 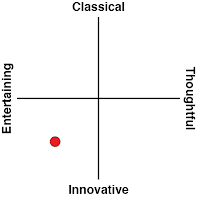 The variety of things to do in the game is limited by the time period and the technology of which it was released. After colouring buildings, finishing challenges involving colour and defeating enemies over and over again to advance, it got to the point where I needed a break from the game before my mind went completely numb. Challenges offered by NPCs often require de Blob to paint a section of the land a certain colour. Quite often these require knowledge of primary colours and how they combine into other colours. The three types of paint I refer to are yellow, cyan and magenta. Hitting a magenta paint canister, followed by a yellow one results in orange paint, and so on. As the game progresses the challenges get more difficult, eventually requiring the colour brown, which is achieved by absorbing all three colours. Other challenges require multiple colours to be used in the one area which can provide a decent challenge. Other challenges that present themselves to de Blob involve the need for a certain amount of paint. de Blob grows in size the more paint is absorbed, and in later levels this becomes crucial as the paint can become scarce. There are different modes to the standard Story Mode included. 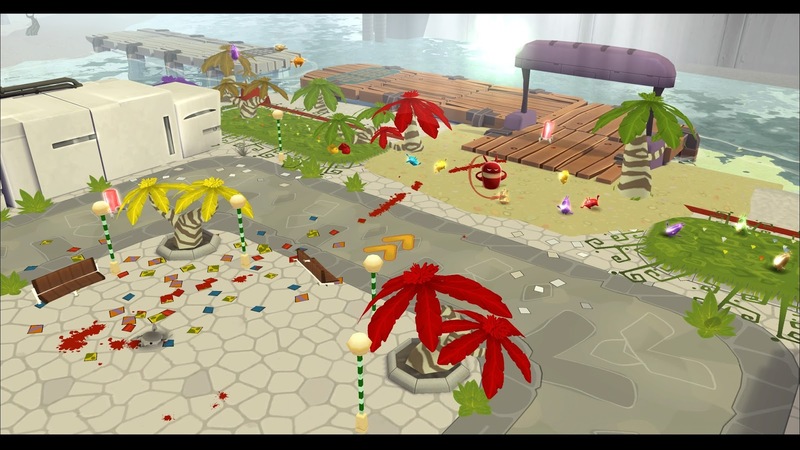 There is a local multiplayer co-op game where multiple players colour Chroma City as a team, or compete against each other in a number of different challenges including most paint used competitions as well as races. There is also a free painting mode, which removes time limits and enemies and just lets de Blob paint. Quite frankly, I wish most games had a free mode, as having the ability to wander around a game world and see what kind of landscape that the developer has created for me can be hugely relaxing. As a remaster, de Blob itself is a bit of a lazy port. It looks like the game itself has just had a resolution boost, and a lot of the game still looks quite blurry. To remaster a game that was released originally in 480p requires more work than that, unfortunately. 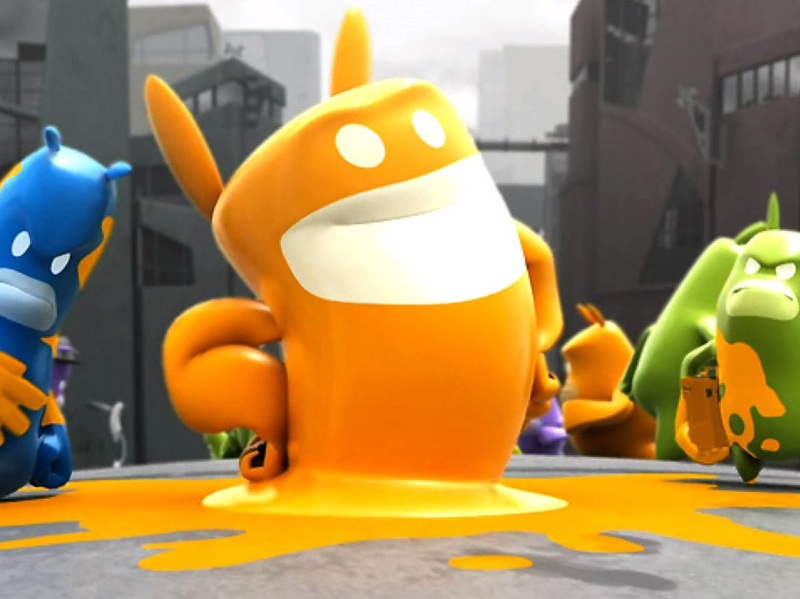 It was quite remarkable that a third-party developer was able to find success on Nintendo’s Wii, which had a reputation of being very much a "Nintendo only" console, but de Blob found quite a large audience, and this re-release on the PlayStation 4 shows us why. It's so darn charming. 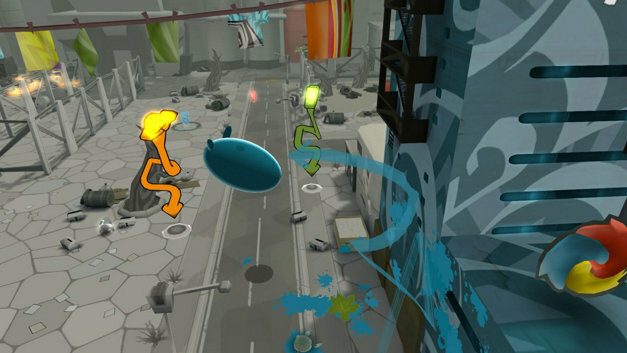 de Blob is still a reasonably well-polished game, though unfortunately, there is a bit of repetition that comes with the game's raw age. Hopefully, in the not too distant future, THQ Nordic will see fit to bring out a new de Blob game that takes the core idea of what makes de Blob an enjoyable time, and builds upon it by modernising the more archaic elements of the game.